Expediently Design: 360°silver metal swivel protect USB connector. Ring can easily be attached to your key chain or lanyard, using to help keep from losing, and for easy carrying. More colors and shaped in AreTop store, waiting you choose. If you are not happy with our products, please do not hesitate to contact us. ➩ SPECFCATIONS: Capacity - 32GB / Interface - USB3.0 / Compatibility - Compatible with USB 3.0 and below Supports Windows 7 / 8 / 10 / Vista / XP / 2000 / ME / NT Linux and Mac OS. ➩ SUPERSPEED USB 3.0: The newest version ensures you instant data transfers with the reading speed up to 80 MB/s and writing speed up to 40 MB/s USB 3.0 port. Besides, for lightning port reading speed up to 30MB/s, writing speed to 20MB/s. ➩ EXQUISITE & CONVENITN DESIGN: Swivel shape design and fashionable style Usb flash drive. The hoop ensures that you can lock it up to your key ring, which makes it easier to find and to carry. 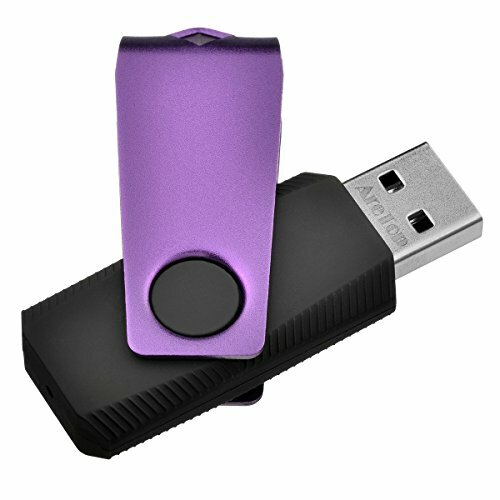 ➩ MULTIFUNCTION & WIDE COMPATIBILITY: suitable for digital data storing, transferring and sharing in school, in family, to friends,to wedding, to clients, to machines. Apply to data storage of music, photos, movies, designs, manuals, programmes, handouts etc. ➩ WARRANTY: AreTop provides a 2 years warranty for all our customers. Besides, AreTop have a very professional customer support team which gives you considerate service and answers all you questions. Contact us by email once you have any problem with the product. If you have any questions about this product by AreTop, contact us by completing and submitting the form below. If you are looking for a specif part number, please include it with your message.